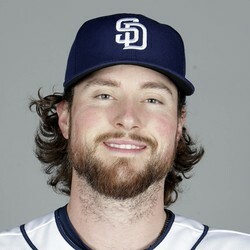 Carter Capps is 16 months removed from Tommy John surgery. He's posting a 3.60 ERA and a 13/8 strikeout-to-walk ration in 15 innings. Capps sounds healthy but is trying to iron out his delievery which remains controversial due to rule 5.07 stipulating that a pitcher cant take a second step toward home plate. Capps was called on it twice on June 25th but Padres manager Andy Green is hoping its an isolated incident and believes that before things are all said and done Capps will be a big part of the Padres bullpen.